I’ve discovered, having read a couple of Kim Harrison’s “The Hollows” books and the first two books in her new “The Drafter” series, that I’m not much of a Harrison fan. Looking at the themes and plots, both would seem right up my alley, but I’ve just never been able to really enjoy Harrison’s work. Waylaid is a novelette bridge between Harrison’s two worlds (Hollows and Drafter). The concept is a bit contrived since the two worlds don’t really exist on the same plane or time, but what the heck this is fantasy and anything is possible. Rachel (from The Hollows) finds herself stranded in Detroit, 2055, and without the ability to call upon her magical powers. The supernatural does not work where she now finds herself. Peri is a Drafter and has the ability to go back in time to change the course of an event (though not without consequence, of course). Something in the current timeline is not right (Rachel’s appearance) and it’s up to Peri and her Draft team to get Rachel back to the right timeline – which is more than she’s typically expected to do. The book is only eighty-seven electronic pages long and the story and action move along at a frantic pace and I think that it is this – the brevity of the book – that I enjoy so much. In my other attempts to read Harrison’s work, I feel bogged down in the story and I struggle to slowly wade through the dense work. Here Harrison shows that she can tell a story swiftly and succinctly and it works. While it helps to know the characters ahead of time, so that Harrison doesn’t have to spend time setting the reader up with character definition, we get what we need to know: someone with supernatural power finds herself in a time and place where her power doesn’t work. Someone with the power to return her to the correct time, must strive to do so. I enjoyed this a lot and if more of Harrison’s work could read this nicely, I’d be much more inclined to read it. Looking for a good book? 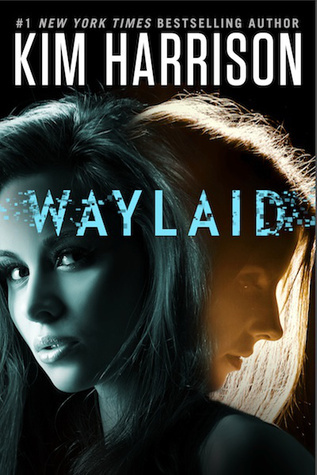 Waylaid is a novelette by Kim Harrison that brings together her hit The Hollows series with her new Drafter series and it a remarkably tight and fun adventure.